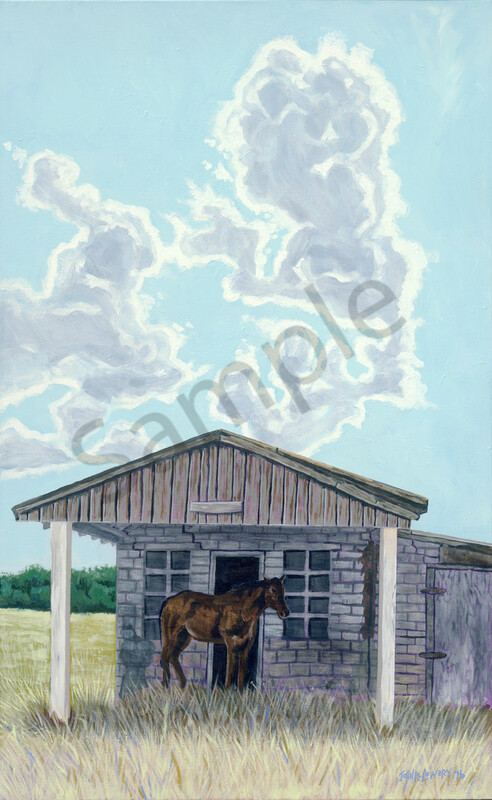 Painting of a lonely horse under the porch of an old house, available as art prints. Who does not want to seek some shade in the middle of a hot summer day in Texas? This old building located near Fredericksburg was the choice for some rest for this horse; now where to find a cold drink?